While you may have known that the correct answer is “all of the above”, I have a hard time imagining that you’d have been able to correctly determine the answer less than a week ago… mostly because he doesn’t “look” like a basketball player to us. Just 13 days ago Jeremy Lin was a man sitting on the end of an NBA bench, looking very much like a fish out of water. Even he knew that he was about to be cut from his team. Then the Knicks put him in the game at pointguard. He scored 25 points and the Knicks won. In the next week he scored 28, 23, 38, and 20 points as he led his team to 5 straight victories. Nobody could explain how it happened, not even Jeremy Lin. It isn’t that Lin isn’t talented; In 2006 he was the California high school basketball player of the year. He led his team to the State Championship, and was expected to play for one of the many California college powerhouses. None of them really wanted him. It isn’t that he wasn’t big enough; at 6’3″ he was tall enough to be a point guard, even if he wasn’t bulky of frame. When he was told that he’d need to try-out for a scholarship he decided that if we wasn’t going to receive a sports scholarship, he would go play at a school that didn’t offer them. He was smart enough to get into Harvard. While successful as both a scholar and an athlete at Harvard, college would have seemed to have been the end of Jeremy Lin’s basketball career. Players just don’t get drafted into the NBA from Harvard, and young men with an economics degree from an Ivy League school tend to do quite well in business. After Graduation he tried out for several NBA teams, eventually signing a small contract with The Golden State Warriors. He played in spot duty for the Warriors until he was cut to make financial room for other players. His professional career seemed to be over; undrafted players cut by the Golden State Warriors don’t often get picked up by other teams. Lin was claimed by the New York Knicks. After being reassigned to developmental teams several times, the Knicks brought Lin onto their official roster because they were facing injuries to key players. Lin expected to be reassigned when those players returned. Knick’s Coach Mike D’Antoni decided to start him on February 4th. The Knicks haven’t lost a game since. In the last 5 games, a man who couldn’t seem to find his place on anybody’s basketball team has captured the attention of a world that can’t quite figure out why, or how, this unprecedented level of success is happening. I’d add to it that Jeremy Lin is the right person, appearing at just the right time. -Trust in the ability of his teammates. -Get players the ball in the places that work best for THEM. -Don’t turn the ball over. Jeremy Lin is a match, dropped onto dry tinder in a well oxygenated environment. Everything that needed to happen to make fire, happened while he was preparing himself for the moment that somebody needed a spark. He was just willing to do what he was asked when he was put into a situation that had been prepared for his success. …as opposed to how he’s been instructed. Lin’s success comes from a willingness to lead the team according to the coach’s plan. This “shocking revelation” should be about as unbelievable as baking a delicious cake by following the recipe. Lin is like the Biblical Esther or Joseph, an outsider prepared in advance for the specific moment in time where their obedience would make or break the success of the people around them. Tonight the Knicks regain one of their marquee players, the extremely muscular and talented Amare Stoudamire. Lin will take to the floor with a new scoring option at his disposal, while Stoudamire will rejoin a team “under new management.” The result should be quite devastating for their opponent, the Toronto Raptors. Whether the Knicks will be successful after the return of their other “more professional looking” player will depend on his willingness to receive the leadership and coaching that have come into shape during his time away from the team. 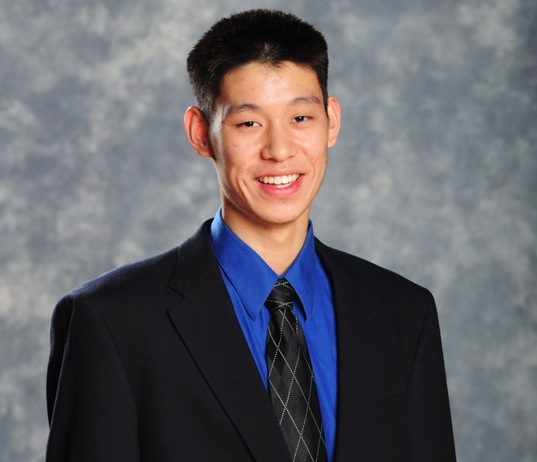 Jeremy Lin doesn’t look muscular or imposing, but he’s an athlete who is smart enough to receive coaching. Isn’t that what a basketball player is supposed to look like? Give me teachable anytime, anywhere, in all ways. I bet the Moody Blues were very teachable… Not like Van Halen.